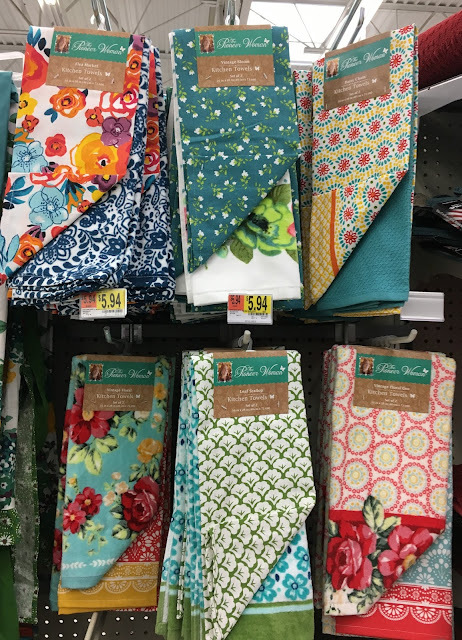 Wal-Mart can be polarizing. Some people love it, some people don't! I get it. I have had my own love story with Wal-Mart...break-up, don't see each other for a while, remember why I do like it and then get back together and repeat Let's just not talk about the self-checkouts ;). Anyway, I got back on the Wal-Mart train last fall when they started offering grocery pick-up. Hello - it's amazing. I seriously can't grocery shop IN THE STORE anymore. While there getting some teacher appreciation stuff (more on that on Monday! ), I thought to myself there is some really cute stuff, I just have to share and try not to buy! I follow Whoa Wait Walmart and they always inspires me to want to shop at Wal-Mart. I hope this post does the same for you. :) Target gets all the love (and a lot of mine) but you gotta love Walmart too especially grocery pickup! #lifer. 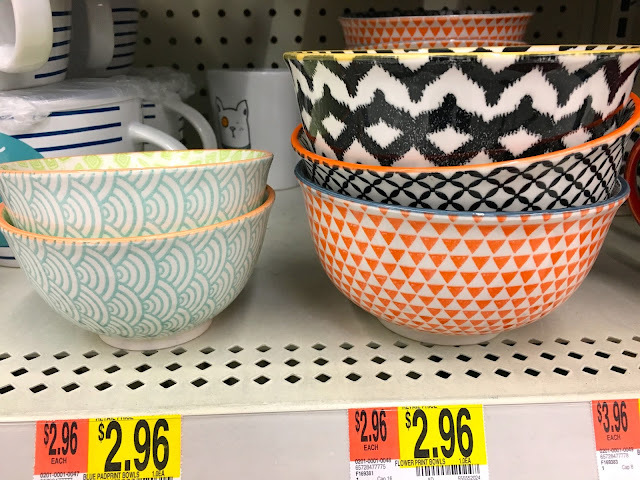 To take it up a notch I posted some high versions so you can see Wal-Mart is on trend this spring but at a much more affordable price which is great for all of us on a tighter budget! This tote is a great size and how cute for a pop of color for summer. Add this or this for some pizzaz and you got yourself a go to summer staple. The price is right at $14.97! A low look version of this. These bowls just scream, stack me on an open shelf in your kitchen! 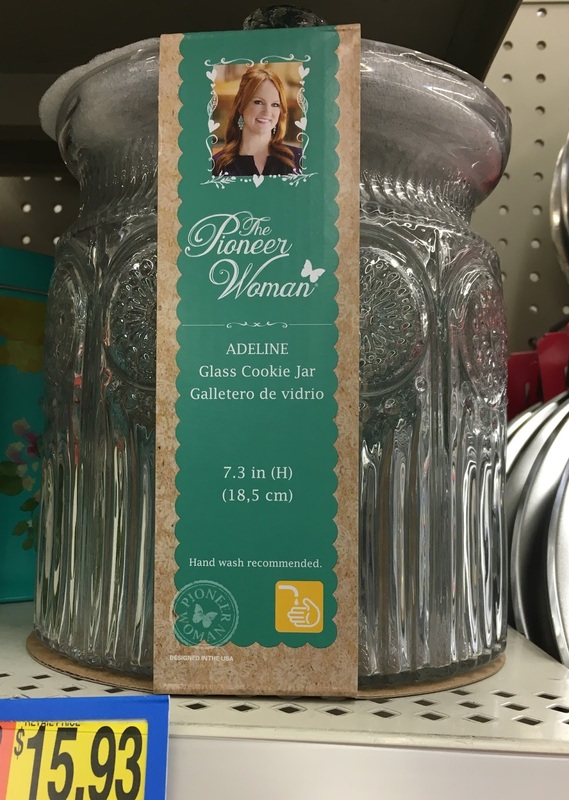 The little one would be perfect by the sink in your kitchen for jewelry holding while you do the dishes. Mix and match prints for $2.96 a piece. They are just like this higher priced version. The Pioneer Woman line is just SOOOOO cute. From the distressed wood pepper shaker for $12.54 to the Utensil crock for around $11. Those polk dots make me very happy! Cut glass is making a huge come back! 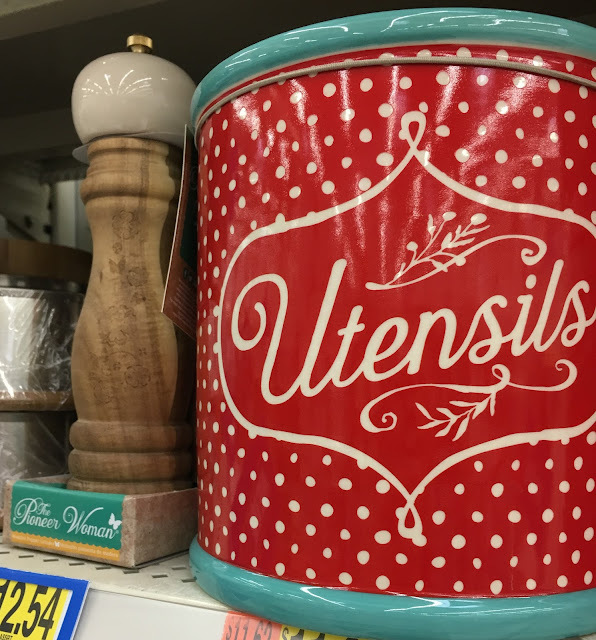 This jar is so cute and so affordable and what a cute gift. #motherday You could put in cookies, dishwashing pods, laundry pods, coffee pods -- the options are endless and they would look so cute! Who doesn't love a bright, lovely dish towel. They get old and dirty fast so these make practical Mother's Day and end of year Teacher's gifts. They are just $5.94 a set. 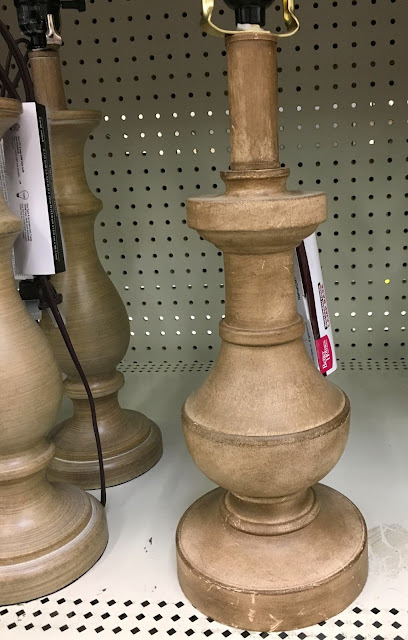 They have some darling lamps that rival the lamp aisle at Target. 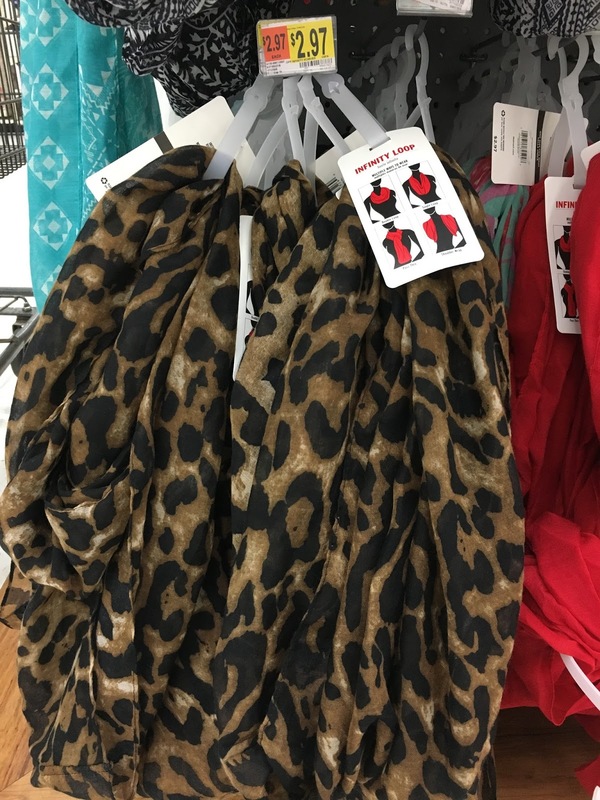 This particular style was on clearance for $13 at our store. I love that weathered look that is so popular right now. I even put this lamp in my cart but could not come up with a place for it before my shopping trip was done so begrudgingly I put it back ;). 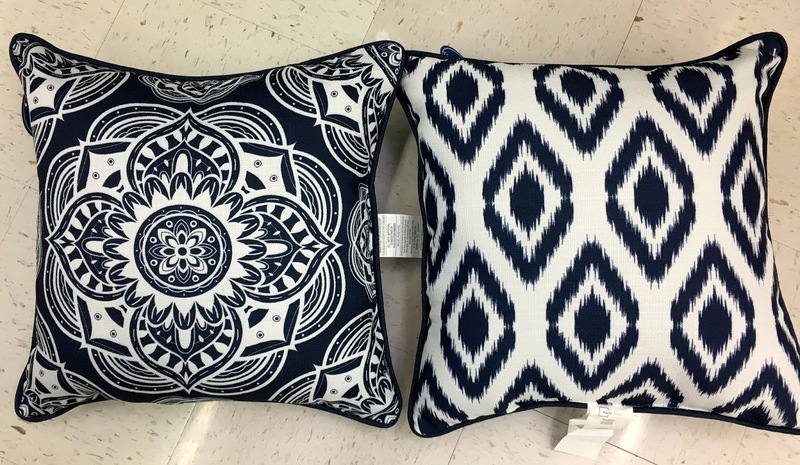 This reversible navy pillow can take you year-round! I am a sucker for navy and it's just $10.94 for essentially two pillows! The price beats this look alike. 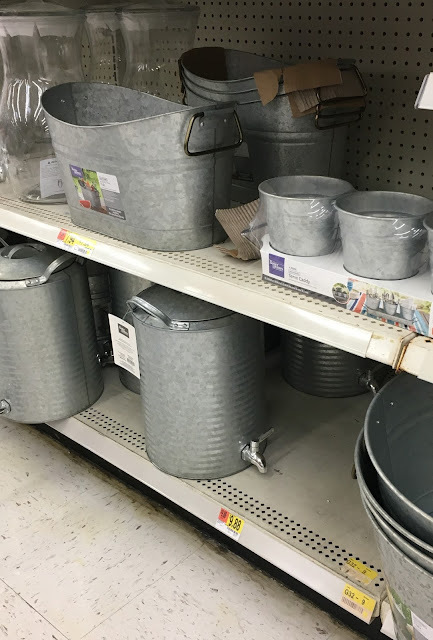 The galvanized serving ware game is STRONG at Wal-Mart right now and the prices are hard to beat. I have a friend who bought a bunch of this for her daughter's graduation party. She will easily be able to use all these pieces in other ways around her home. 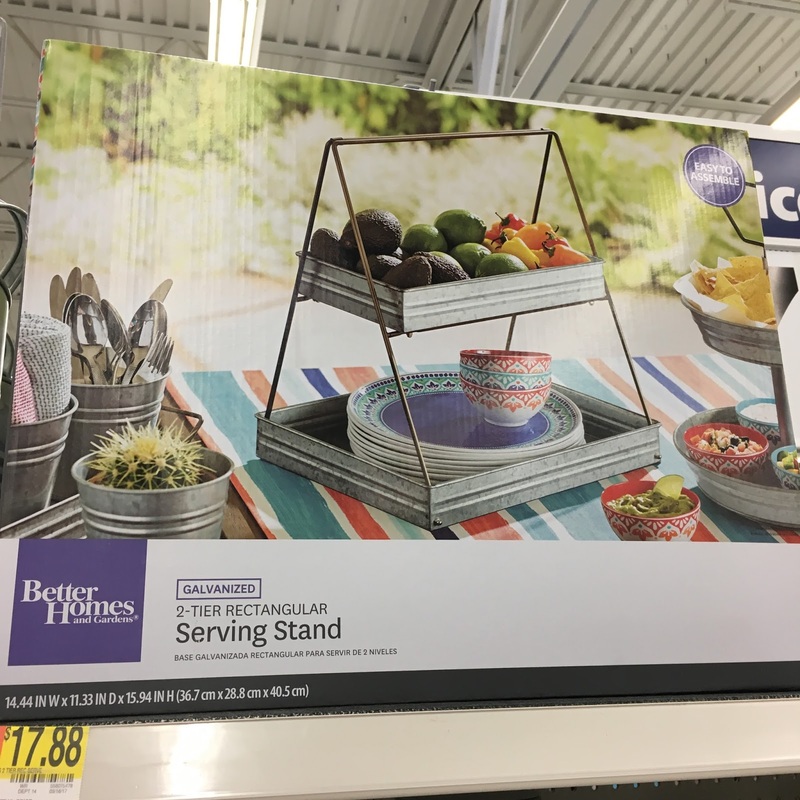 I really wanted the 2-tier stand and it was half the price of this one. 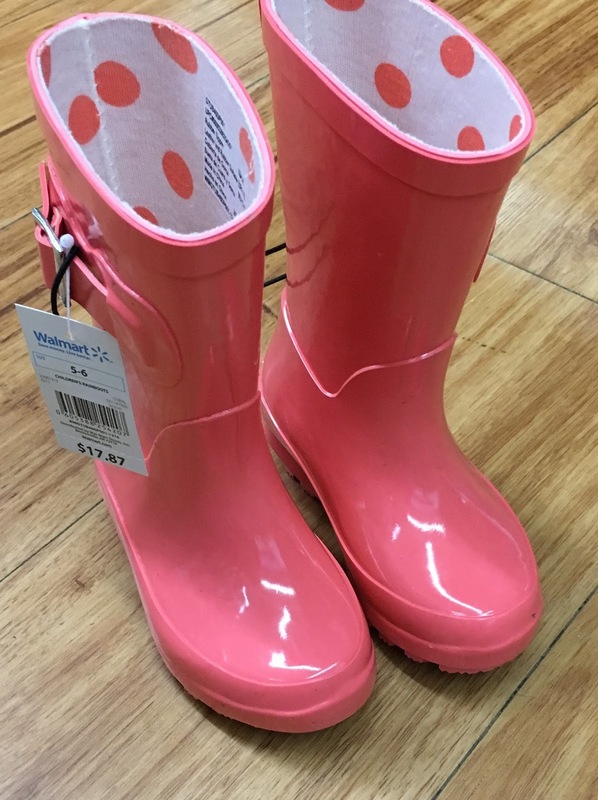 Rain boots for little feet #bestillmyheart and coral with polka dot line #stopitnow. I love a hunter boot but these are so much more affordable. These took me back to my youth and jellies! Do you remember those? For under $5, these mary janes would keep your feet cool with a bit of protection. They had such cute colors! 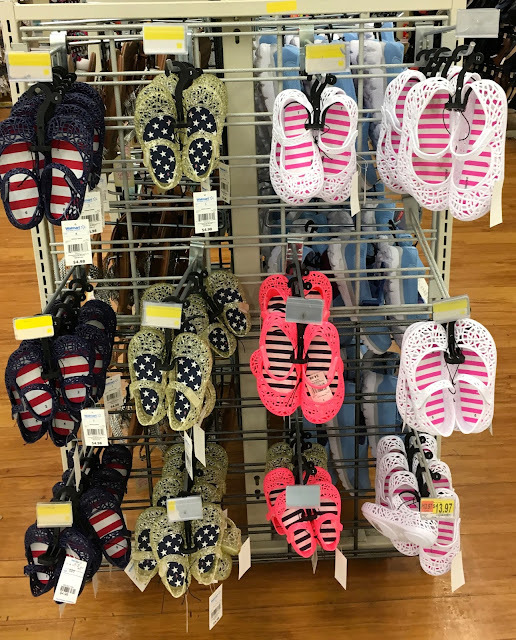 These looks very similar to this croc version for way less. Look at all the fun colors of these shoes. These also went in my cart but I waited for now until spring hits ;). 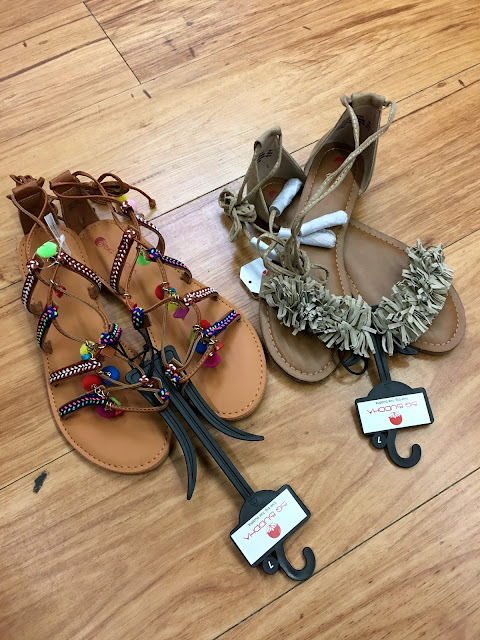 Everyone on Instagram and blog land is sporting these but these Wal-Mart versions for $16.97 by Big Buddha might be a great low-cost version! Don't they look just like these? 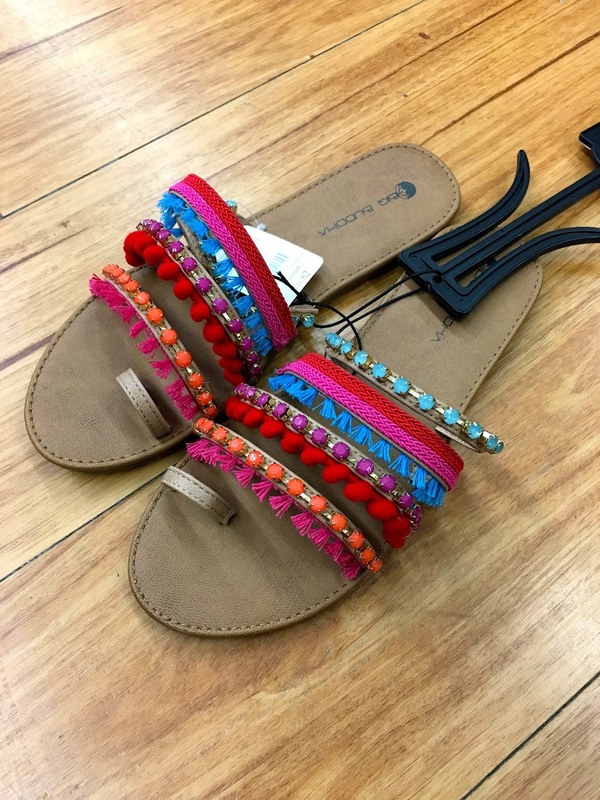 Tassels, ankle details and pom-poms are super popular this spring. I love my leopard infinity scarf and they had one for under $3 at Wal-Mart. Stock up for fall! 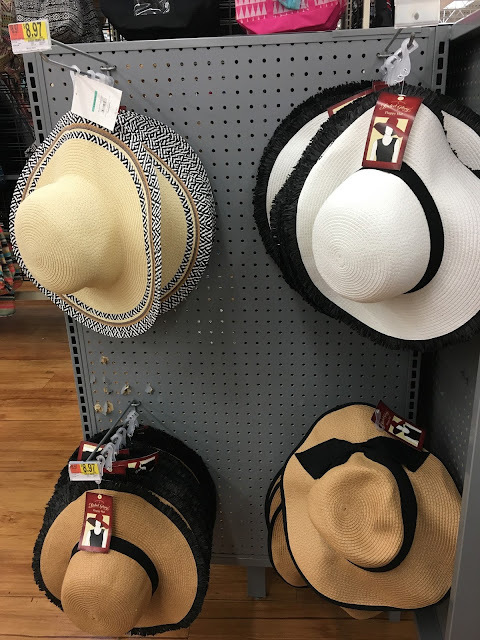 They had some darling sun hats - the one on the top left is calling my name and under $9, who cares if I get splashed ;). #splashinghappens How chic would the one on the top right look with a black swimsuit as we all lay out on those comfy chairs sipping fruity drinks #goals ;). A little birdie told me about some amazing deals on house plants....you better check her post out. Their outdoor flower game is strong too and SO affordable. Ferns for $12! 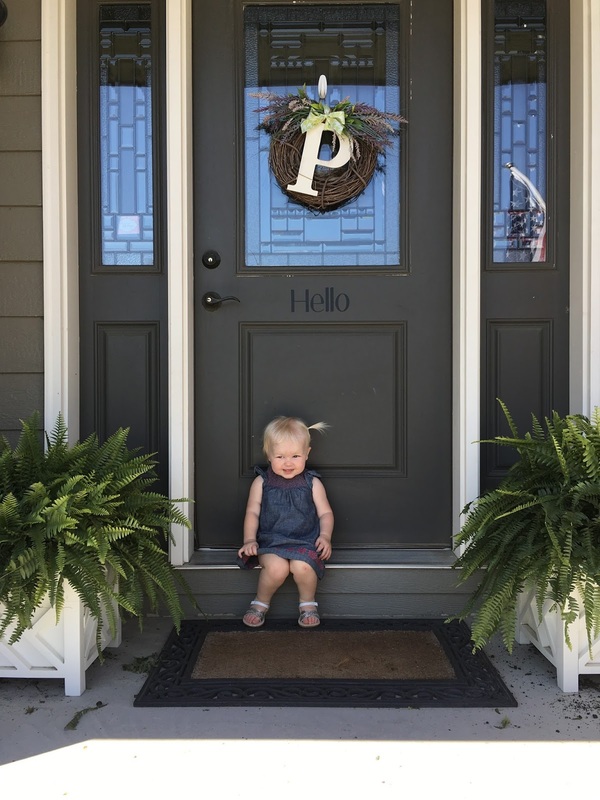 **Linking up with Erika and Andrea for Friday Favorites, September Farm & Amy for Oh Hey Friday!, Meet @ The Barre for Friday Favorires, Cup of Tea and BYBMG for High Five for Friday, and Smidge of This and North Carolina Charm for Five on Friday.